The Fordham Rams entered the 2016-17 campaign with the most buzz surrounding its basketball program than it’s had in two decades as they were coming off their first postseason bid since 1992. The Rams started the season by getting blitzed by a very good East Tennessee State team in the season opener. Fordham then took advantage of a slate of seven straight home against soft competition, posting a 5-2 record. The Rams closed the non-conference season losing four of five games as the schedule got significantly tougher with a road loss to Harvard and a neutral court setback to Rutgers. The Rams are relatively young with one senior, graduate transfer Javontae Hawkins, in their rotation though there are several promising talents – including juniors Christian Sengfelder and Antwoine Anderson along with sophomore Joseph Chartouny. However, they are headed for a bottom third finish in the A-10 once again. The Rams have two good wins and each of those victories are for different reasons. The Rams biggest win by far was a 73-62 home victory over Rider. Fordham built a 42-27 halftime lead and then held on down the stretch by making 7 of 10 free throws. It marks the Rams only win over a top-175 RPI team and the victory was the 1,500th in program history. The other good win was an 82-60 win over Central Connecticut State that allowed the Rams to finish the non-conference schedule at 6-7. The Rams played their best basketball of the season in the game as they shot over 56 percent from the field and had four players in double-figures. The Rams have two really bad losses. The loss to E. Tennessee State, while not unexpected, is bad due to the margin of defeat. Their two really bad losses were a home setback to Sacred Heart (No. 271 RPI) and a road loss to Manhattan (No. 212 RPI). Against Sacred Heart, the Rams went nearly seven minutes without a field goal and blew a 11-point lead as they outscored 16-4 over the final 5:07 of the game as they fell by one point (71-70). 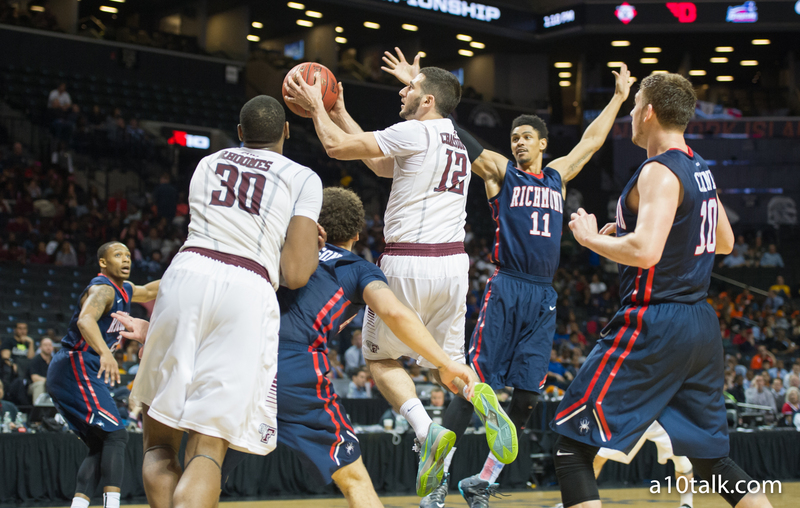 Versus Manhattan, Fordham scored just 21 points in the second half and shot 31.7 percent from the floor for the game. Can’t say that Fordham was expected to be much better than around the .500 when the season started. The Rams could have been feeling pretty good about themselves heading into conference play had they not melted against Sacred Heart and Manhattan. Check us out on Twitter and like us on Facebook for more Fordham content.